Facebook's share of visits fell 8% in 2017, with Google, Pinterest and Instagram benefiting from the slide. The data, according to the Shareaholic Traffic Report. suggests that search made a comeback in 2017, after pacing behind social for several years. Facebook's share of visits dropped 12.7% between the second half of 2016 and the second half of 2017, per the report. The report compiles external referred traffic data aggregated from more than 250,000 mobile and desktop sites and analyzes shifting trends for "share of visits" -- a percentage of overall traffic from direct traffic, social referrals, organic search, and paid search. Search regained the lead from social in 2017 -- driving 34.8% of site visits in 2017, compared with 25.6% from social. Rather than searching for news and content on individual social networks, those looking for information could now find it aggregated within search engines. So Google benefitted most from the changes in social traffic, reclaiming the lead as No. 1 overall traffic referrer, followed by Bing at No. 2, Yahoo at No. 3, DuckDuck Go at No. 4, and AOL at No. 5. Pinterest and Instagram also gained from Facebook's loss -- specifically Pinterest, because it is focused on sharing content tied to other sites. Their 1.5% percentage-point increase in share of visits year-on-year (YoY) more than doubled the other growing social networks combined. 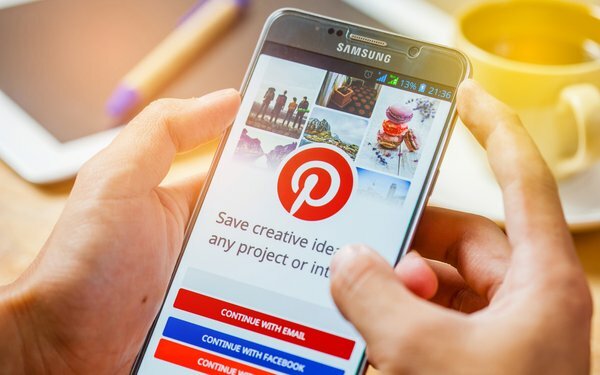 Pinterest’s growth, per the study, is driven by more than 200 million monthly active users who have saved more than 100 billion pins, which "makes a natural fit for driving traffic to external sites," said Craig Zevin, head of product marketing at Shareaholic. "The volume of content being shared daily is growing dramatically, especially internationally." Pinterest gets about 2 billion searches monthly, about 85% of which are from mobile devices. More than half of all active users and 75% of new signups come from outside the U.S. But Shareaholic's report isn't the only data suggesting the shift. iProspect's Social Trend Data also identified the shift. Marketers might wonder how this happened. Shareaholic's report suggests Facebook took a wrong turn in several places. The site made several changes to the type and the way it displayed content in the news feed. It took aim at sites that overshared by posting too frequently, contain too many ads, and have little substantive content. Facebook user behavior changed, decreasing the time spent by 5%, which totals about 50 million minutes per day. The time they do spend is increasingly focused on video viewing, which is less likely to link out to other sites, Zevin said. YouTube, Flipboard, and LinkedIn also gained slightly in share of visits in 2017. LinkedIn rolled out a new look in 2017 focused on desktop. Flipboard expanded its offering to publishers, and now allows the addition of RSS feeds through a self-service portal and includes non-native mobile web articles. This growth in share of visits aligns well with general trends in traffic to those sites, making it a helpful predictor of how social networks will perform as traffic drivers for your site.